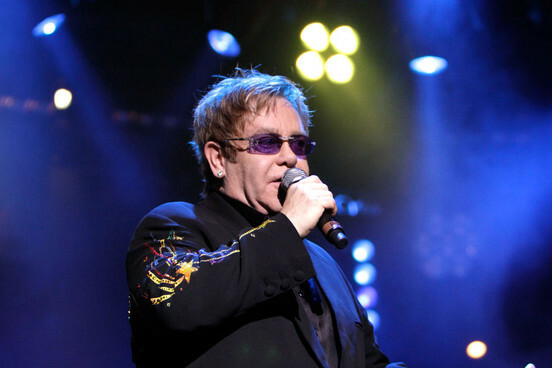 Authorities in China have reportedly hardened their stance on foreign performers after Elton John dedicated a recent concert in Beijing to artist and political activist Ai Weiwei. According to reports, John finished his November 2012 performance in Beijing by saying the show was dedicated "to the spirit and talent of Ai Weiwei". The Guardianreports that officers wanted John's manager to sign a statement saying the dedication was inspired only by admiration for Ai's art. Chinese culture minister Cai Wu is subsequently believed to have demanded that only artists with a university degree be able to perform live in China, to avoid a repeat embarrassment. Elton John had met Ai Weiwei shortly before his Beijing concert and, despite offending officials with his words, was allowed to perform in Guangzhou the next month. Ai Weiwei has been highly and openly critical of the Chinese Government's stance on democracy and human rights and was arrested in 2011, held for two months and then released without charge. There have been no official changes to the policy on performers and the requirements needed to play live. However, a source informed The Guardian that classical musicians had been told to provide proof of their education and qualifications when applying to tour China adding that several applications had been rejected. "They are looking closely at videos, making sure that the people on stage are exactly the same as in the visa applications, and so on. It's not a change in the rules as much as a tightening [of existing procedures]." The Elton John incident follows a similar moment in 2008 when Björk shouted "Tibet! Tibet!" while performing in Shanghai. Speaking about her comments, a spokesperson for the ministry of culture in China stated: "[her] political show has not only broken Chinese laws and regulations, and hurt the feeling of Chinese people, but also went against the professional code of an artist." Meanwhile, Elton John appeared on stage at the Grammy Awards in Los Angeles last night (February 10), performing 'The A Team' with Ed Sheeran.